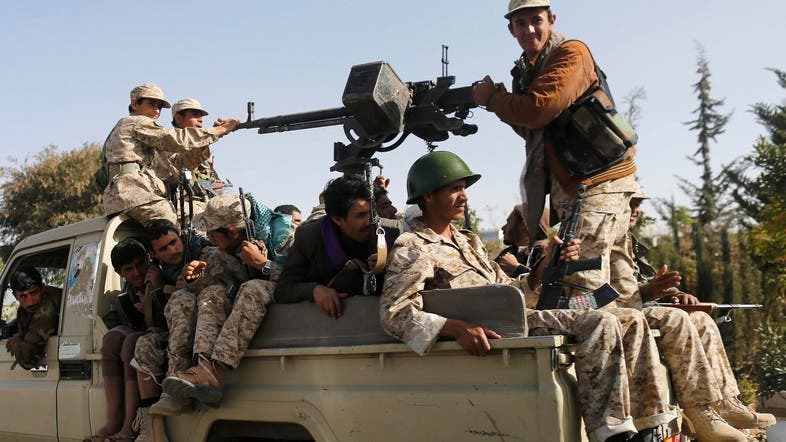 The Shiite Houthi group, currently dominating Yemen, is “similar” to the Shiite movement in Lebanon, Hezbollah, a representative of Iran’s Supreme Leader Ali Khamenei in the Qods Force of the Revolutionary Guards has said. “The Houthi group is a similar copy to Lebanon’s Hezbollah, and this group will come into action against enemies of Islam,” Ali Shirazi was quoted as saying in an interview published on Sunday by the Defa Press news agency, which is close to Iran’s armed forces. Shiite fighters in Iraq and Syria have volunteered against radical Sunni militias to safeguard Shiite shrines. In Iraq, the volunteers are also supporting the country’s army in its fight against ISIS jihadists, who have seized large swathes of land. The Houthis on Monday stormed Sanaa University and detained dozens of people protesting against the group. Earlier, the group blocked access to the capital’s university as opponents of their takeover of Sanaa called for more demonstrations. The group, who descended from their base in Yemen’s rugged north to overrun the capital in September, fired in the air on Sunday to disperse a protest at Change Square. “Hezbollah was formed in Lebanon as a popular force like al-Basij. Similarly popular forces were also formed in Syria and Iraq, and today we are watching the formation of Ansarallah in Yemen,” he added. The Basji is a paramilitary volunteer militia established in 1979 by order of Ayatollah Khomeini. The original organization comprised of the civilian volunteers whom the Ayatollah Khomeini urged to fight in the Iran–Iraq war. The official also commented on the killing of an Iranian general in an alleged Israeli air strike last Sunday in Syria. Iranian Revolutionary Guard General Mohammed Allahdadi was in the Quneitra area on the Syrian side of the Golan Heights with Hezbollah personnel at outposts that the Syrians and the Iranian had built in order to counter rebels. While Houthis reject allegations that it is backed by Tehran, it is not the first time an Iranian official has expressed support for the Yemeni militiamen. The conservative Iranian newspaper Kayhan also considered the Houthis as a natural extension for the 1979 Islamic revolution in Iran.